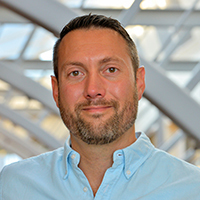 Adam B. Feinberg, Ph.D., BCBA-D, is an Assistant Research Professor at the University of Connecticut and the Director of the Northeast PBIS Network. He earned his Ph.D. in school psychology from Lehigh University, and currently is a licensed Psychologist in Massachusetts. His research and clinical interests include the development and implementation of Multi-Tier Systems of Supports in schools and districts, with a focus on developing and supporting coaching knowledge, skills, and networks.